Rather than have resolutions, this year I have decided to set myself a few goals and have a few things to aim towards and achieve throughout 2017. I have split these goals into three different categories, each representing a different aspect of my life: Personal, Work & Career and Health & Fitness. One of the main ways in which I have been able to break down my thought process and plan for my year ahead is by using my Dear Diary that I purchased just before Christmas. 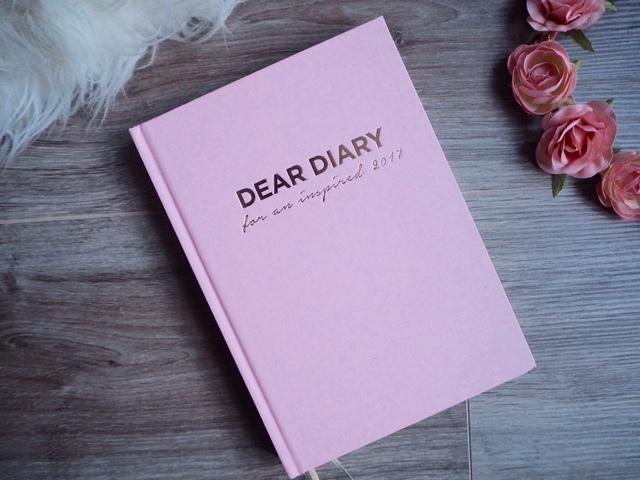 This is a beautiful diary created by an independent company with the goal to help create an inspired 2017. It is a beautiful diary that helps you to work out what you want your goals to be by looking at the year as a whole. 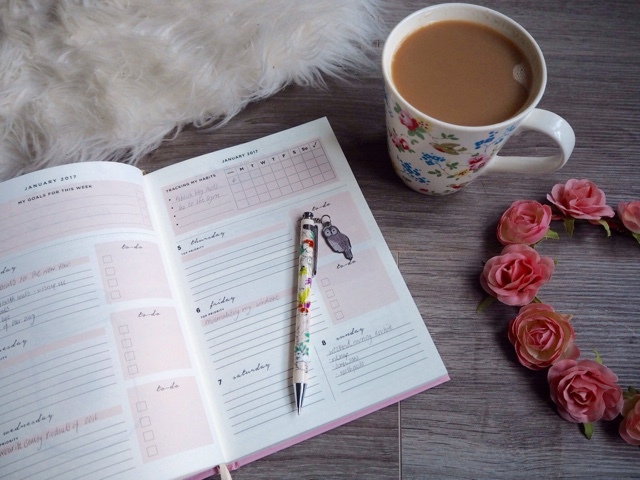 There is then a monthly overview section to break down your goals into more achievable chunks, which are then broken down again into a weekly overview. There is a double page per week that allows space to create daily To Do lists etc. I have fallen in love with this diary and cannot recommend it enough for a more organised and focused outlook on life. 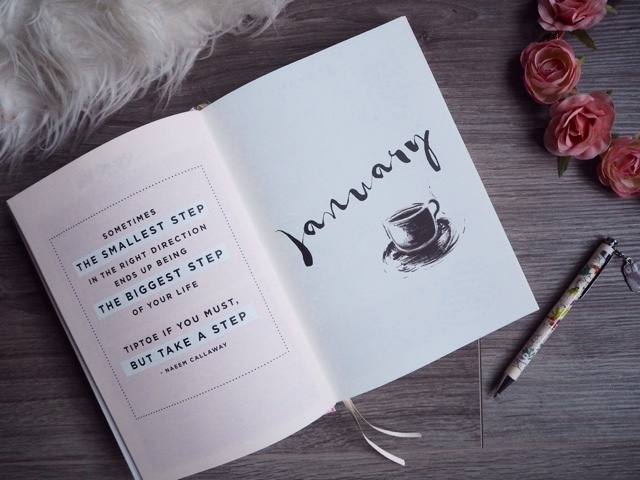 It may sound a little over the top to some but I am very keen to achieve my goals for this coming year and I really believe that this diary will help. I am a huge lover or getting and being organised however, I feel as though this can be improved upon greatly. This coming year I really want to focus on getting my life on track and one of the ways in which I plan to achieve this is through minimalism. I would love to have a more minimalistic life style, only having what I need, buying quality over quantity and this is something that I really hope to adopt and improve upon throughout the coming year. 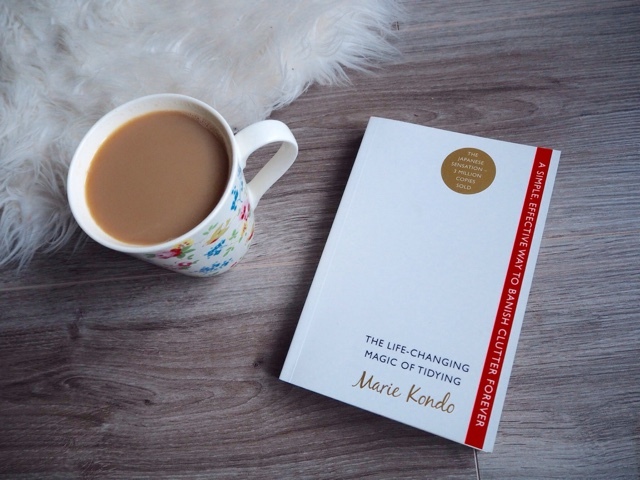 I have been reading The Life Changing Magic Of Tidying by Marie Kondo which has also been helping my mind set when it comes to clearing out and tidying up. As well as becoming more organised in the home, James and I really want to decorate more and put more of a stamp on things though out the house. Another goal of mine is to read more. This was a goal of mine for last year and I have picked up more books this year than I had in 2015 but for 2017 I really want to up my game and make sure that I really take the time to enjoy books. You can read more about this on My Reading Plans For 2017 post. Something else I want to do more of this year is travel. For Christmas James bought me a trip to Prague, which I am so excited about, see what else I got for Christmas here. I want to plan some more trips, even if it is just weekends away to different cities here in the UK, I just want to see more of this beautiful world of ours. Health and fitness wise I really want to look after myself this year. I haven’t felt very confident in my own skin for a long time and I feel like I have finally reached a point where enough is enough. I really want to feel confident and happy with my body both inside and out. I want to reach my target weight goal whilst getting fit and healthy along the way. Fitness wise I want to create a more solid gym schedule and really improve my running. I had signed up to do a half marathon in may however I have just found out that it is the same day as a friends wedding. I want to sign up for another run asap however as I think that it will really help to have a goal. Health wise I want to improve my diet and think more about what I am putting into my body. I have also been taking part in the Vitsnap program. Vitsnap is a fantastic way to ensure that you are getting all of the right vitamins and substances your body needs with a program made just for you. All of the vitamins are delivered straight to your door every two weeks, which is made up of individual pods for you to take your vitamins daily. It is so easy and you can get 50% off your first box using the code MADOLYN50. I have also been taking the Seven Seas Perfect 7 Woman tablets that are designed to improve your hair, nails, skin, hormones and a number of other things. It is a quick and easy way to ensure that you are keeping healthy on the inside as well as on the outside. In terms of my work and career I really want to begin to make Madolyn Thinks much more of a focal point in my life. I love blogging and it is a brilliant hobby of mine. Over the past year I have really seen an improvement of my blog in terms of opportunities, readership, collaborations and blogging events. It has become so much more than I hobby for me and I have felt a little frustrated of late at the fact that I can’t put as much time into as I would like. This year I really want to focus on putting more of my time and energy into continuing to grow my blog and YouTube channel and take it to the next level. I want to start saying no to spending my time doing things I don’t enjoy and start doing a lot more that brings me happiness.